Which took inspiration from the PR made by akortunov here: https://github.com/OpenMW/openmw/pull/1615 in February but labeled for post-1.0 inclusion. But it looks like it might get relabeled pre-1.0 and be MWSE compatible. This has been a mod that Greatness7 has wanted to make for years. 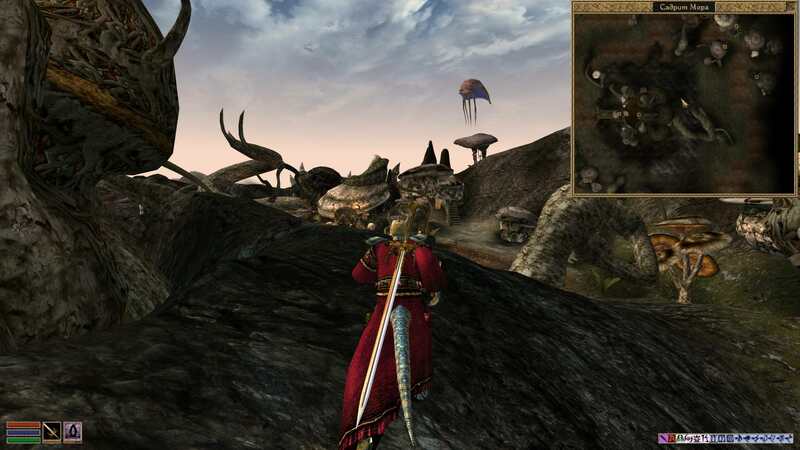 It is not inspired by akortunov's fork, though he has worked with akortunov to help support OpenMW's version. Thanks for the correction! Sorry G7, glad to see that there things can still be collaborated on. Only now that we are so near to have this feature mainlined, I finally realized that there are no pics with Beast Races. Is that? Any chance of sheathed weapons for Beasts on a near future? I suppose this is simply up to modders to create a new skeleton with the supported sheathing bones added? @Akortunov? 1. Beast races and bipedal creatures use the xbase_anim_sh.nif too - we do not replace the whole skeleton, just inject some bones to existing one. 2. It seems the direct mentioning (by @ sign) does not work here. Unfortunately, there is a clipping with tail for large two-handed weapons (two-handed swords, spears, staffs) when idle. Probably someone will need to modify idle animations for beast races. Yes, I know this actually. I just put the @-sign there to make it clear that I'm asking you and not just talking about you. Maybe a bit pointless, but whatever. It's accepted punctuation on other forums where it doesn't send an alert, so that's how I read it. Thank you. This is good news. Congratulations. A code is a mess yet - it needs a refectoring. Shield equipping animations are supported too. 1. Declare an _sh-model without "Bip01 Sheath" node. 2. Set a bodypart type to Clothing instead of Armor for such pseudo-shield. But both approaches require to patch mod anyway.